Everybody heard of Dracula’s legend…that once upon a time in Transylvania lived a count… Are you curious to find out more? Is this the only interesting feature of this part of the world? We invite you to a beautiful journey in contemporary Romania, where the walls of the old castles are still telling stories of past days, and where the generous nature was the best friend of people living here. Experience the Carpathian mountains, their evergreen crowns of forests and the alpine plateaus. Also called Transylvanian Alps because of their altitude and their wonderful landscapes. Situated in a breathtaking mountain scenery, Sinaia is located at 120 km distance from Bucharest and 49 km from Brasov, on the Prahova Valley. Sinaia takes its name from the 17th-century monastery built by a Romanian nobleman after undertaking a pilgrimage to Mount Sinai, Egypt. Sinaia is one of the most famous and oldest mountain tourist resorts in Romania, known as “The Carpathian Pearl”. It is best known for being the summer residence of the Romanian Royal family. The mountain beauty can be explored in the summer and Sinaia is the best place to start your journey into the deep forest hiking trails. Bucegi mountains hiking routes are well marked and signs are in good conditions. The hiking routes can be chosen for every taste, ranking from very easy to very difficult ones. Several huts on the plateau of the mountain, and also along the marked trails offer refreshments or a warm meal to the traveler. The Bucegi mountains have a relatively long plateau at an altitude of about 2000m and ideal for mountain biking in the summer. The cable car in Sinaia is open all the summer providing the transportation of the bikes. The great panoramas that you can get from many of the laterally emerging peaks of the plateau are one reason for exploring. But the curious and powerful forces of the nature can be seen in many of natural monuments present in the place called Babele (The old ladies). Here, from immemorial times, a naturally modeled group of rocks gave other mystical legends. The Sfinx and Babele are guarding for decades the mountain. Sinaia has a good position and both short (couple of hours) or one day hiking routes can be made. Sinaia is more than just a resort, it is history… The city is officially documented first time around year 1200. Its position, on the valley that connects Muntenia (the southern part of Romania) with Transylvania, made of Sinaia one important village from old times. The city’s orthodox church is the oldest proof and one of the interesting places to visit. But the most interesting place to visit in Sinaia is the Peles Castle. This is one of the best-preserved royal palaces in Europe. It served as the summer residence of the first Hohenzollern king of Romania, Carol I. Built in the latter half of the 19th century, it was the king's attempt to imitate the styles of his former homeland, creating a Bavarian setting in the mountains of Romania. The palace is ornately decorated, both the interior and the exterior, with intricate wood carvings and paintings of scenes from Wagner operas. Due to its location, many destinations can be easily reached from Sinaia. Brasov, an important city of Transylvania, still maintaining its medieval atmosphere along with the modern one can be visited. Also Bran Castle which is considered to be Dracula’s castle is just 60km away. The Rasnov fortress is the oldest fortress in Brasov area. Sinaia Data Sheet: Population: 12525 persons, Altitude: 850 - 1000 m, Average temperature during winter: -3.5 °C, during summer: 15 °C, Slopes Altitude: 2050 m, Total Length of slopes: 20 km, Black slopes: 10 km, Restaurants: 20, Bars: 10, Local TV stations: 1. "Sinaia Forever" is the main festival of the resort. During the weekend the city tries to recreate an old fashion atmosphere as it was before 1944. Sinaia City Hall in collaboration with Romanian and Foreign artists are offering us three days and nights of fun in the Pearl of the Carpathian's, Sinaia! The three days of magic will end with a spectacular fireworks. More details of the program in the following days. The International Festival of Classic Guitar Sinaia - Romania will join in its concert halls great artists, international highest level competition, master classes, guitar builders exhibitions and aficionados from all over the world. They will all be here, in Sinaia, which for a week will turn into the heart of the classical guitar world. 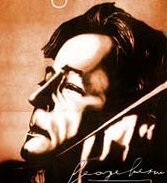 The International Violin Competition "Remember Enescu” is open to all young violinists. Peles Park awaits you with a journey of Romanian history. The complex is composed by The Peles Castle (photo), the Pelisor, the Foisor and the Economat. The park is situated on Pelisor Valley and the main access points are from Furnica or from the Monastery. The Peles Castle and the Pelisor are open to the public. George Enescu's memorial house, the famous Romanian composer, is situated in Cumpatu and is administrated by the European Cultural Centre. Here you can enjoy concerts of young artists, musical auditions, exhibitions and many other cultural events. Sinaia Monastery - after three hundred years of existence, the monastery continues to be an important part of the town which bears its name. The small complex is composed by the main monastery (photo), the small monastery (built by Mihai Cantacuzino in 1695), the grave of Tache Ionescu and a museum. The Casino - here you can play roulette, blackjack and poker. The opening hours are from Tuesday to Sunday, 19:30 - 03:00. There is no dressing code. The Casino is also the main host of national and international conferences, meetings and cultural events. It is also the main host for photo galleries and concerts. Ghica Park - in the city center you can relax in the newly re-decorated Ghica Park. The entrance to the park is from the main boulevard, and a variety of alleys and benches are spreaded thorough a nice, and quite area. You can also admire the recently restaurated bench, made by Carol I, in 1905. In the park there is also a playground for kids. there are many other paths in Bucegi. Sinaia Cable Car offers a great journey to Cota 2000 via Cota 1400. You can admire the great panorama of the Bucegi mountains and the Prahova Valley both in summer and winter. The Cable Car is open daily from 8:45 - 16:00. During summer, on Monday it is closed for maintenance. Busteni Cable Car offers you a spectacular panorama of the Caraiman mountain and upon the Jepi Valley. Babele Hut is an important starting point for journeys in the Bucegi mountains. The town of Busteni is at 10 km from Sinaia. During summer one can take also the cable car from Babele to Pestera, where you can explore the nice Ialomita's cave. Sparkling Wine Tasting - Rhein - Azuga Cellars. Settled in 1892 by a German named Rhein, under the denomination of "Rhein – Azuga Cellars", at the beginning it functioned as a wine warehouse. Until 1945 the place was an official wine supplier of the Romanian Royal House. Since 1999 the unit became a part of Prahova Winecellars. Brasov is a medieval city situated at 49 km from Sinaia. The buildings of Brasov show themselves the evolution of the city in time. 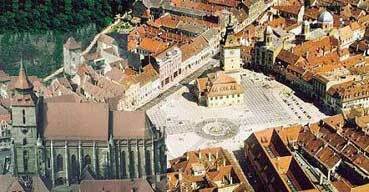 Being named also as Kronstadt or Corona, Brasov was an important cultural and economic center of Transylvania.